Well, indeed the Ukrainian army is now fully loaded up with the latest and greatest American killing machines and armaments and is now ready for their onslaught in the Donbass against the civilians there... Their plan has always been to disregard the people of the Donbass' want for independence from Kiev, and their upcoming assault will be a slaughter and an act of genocide against mostly unarmed and innocent civilians! DPR Intelligence has released a plan of Kiev to break the Minsk agreements and start a full-scale military operation in Donbass. After artillery preparation fire against positions of the DPR Armed Forces, Kiev military will start an offensive from the Mariupol and Debaltsevo sectors in the direction of the Uspenka settlement to take control of the border with Russia and prevent locals’ from fleeing to Russia. At the very same moment, Kiev forces will advance in the direction of Ilovaisk to encircle Donetsk from the South and North. In the Lugansk direction, pro-Kiev militants are planning to exercise separate military actions against LPR Armed Forces. The aims are to move to block the border with Russia and exclude capacity of LPR military to provide support in the DPR battle ground. Kiev strategists hope to defeat the defenders of Donbass and to destroy people’s republics on account of these actions. 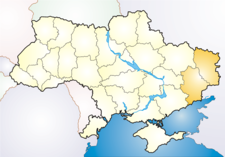 On August 20, 3 Kiev cutting edges of military power were formed and established at the contact line. There are 5 separate mechanised brigades, 2 separate batte tank brigades, 1 artillery brigade and 1 group of military rocket launchers systems in the Mariupol sector. The cutting edge includes over 22 000 of the military personnel, more than 130 battle tanks, 560 APCs, 55 MLRS units, 200 artillery guns and mortars, 720 armor-defeating weapons. 5 separate mechanised brigades, 1 separate battle tank brigade, 2 airmobile infantry brigades, a rocket brigade Tochka U and a brigade of MLRS. In this sector, Pro-Kiev forces include more than 15000 of the military personnel, 110 battle tanks, 430 armored personnel carriers, 5 units of Tochka U, 50 units of MLRS, 220 artillery guns and mortars, 620 armor-defeating weapons. In the Debaltsevo sector, Kiev concentrated 5 separate mechanised brigades, 1 separate battle tank brigade, 3 artillery brigades and a brigade of MLRS. The Debaltsevo cutting edge includes more than 19000 of the military personnel, 70 battle tanks, 580 armored personnel carriers, 45 units of MLRS, 230 artillery guns and mortars, 910 armor-defeating weapons. 4 separate mechanised brigades, 2 artillery brigades and a brigade of MLRS are at the LPR direction. This cutting edge includes more than 18000 of the military personnel, 60 battle tanks, 530 armored personnel carriers, 30 units of MLRS, 230 artillery guns and mortars, 1000 armor-defeating weapons. On reserve Kiev has 2 separate battle tank brigades, 4 airmobile infantry brigades, an airborne brigade, 3 artillery brigades and a brigade of MLRS. Totally, the reserve includes 14200 of the military personnel, 70 battle tanks, 450 armored personnel carriers, 50 units of MLRS, 175 artillery guns and mortars, 350 armor-defeating weapons. Thus, Kiev has finished the preparations for an all-out military operation in Donbass. The future developments depend on the reaction of people’s republics, internal political developments and the international diplomatic situation. To me, this is so disgusting considering the United States of America has now fully provided their criminal Kiev regime with the latest and greatest weapons for a war against civilians, including Phosphorous and other illegal weapons... Their intention is to brutally subdue the Donbass "uprising" and to force the region, who's only crime was to vote in a legal referendum to separate from Ukraine, back under the control of the Kiev government. Ukraine is now ready for their new all out assault on Donbass, and again the next few days will be telling.. I will be watching, and will follow up this report if and when that happens.. Stay tuned..